Attend the 13th Annual Healthy Living Senior Fair! 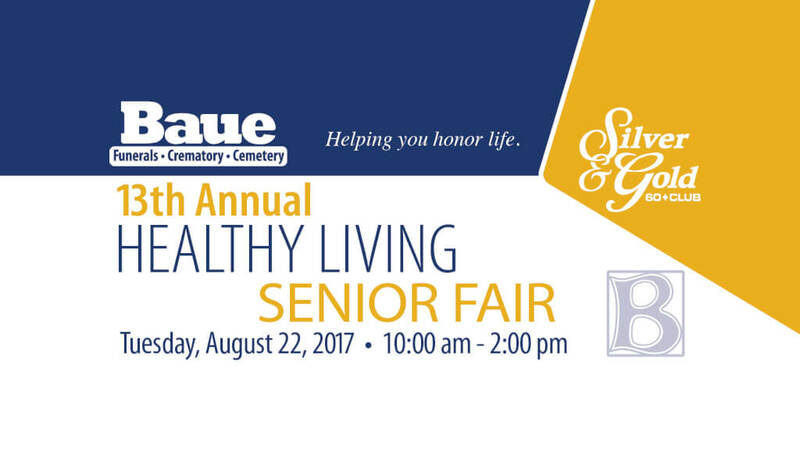 Each year Baue Funeral Homes, Crematory, and Cemetery hosts the largest senior fair in St. Charles County. 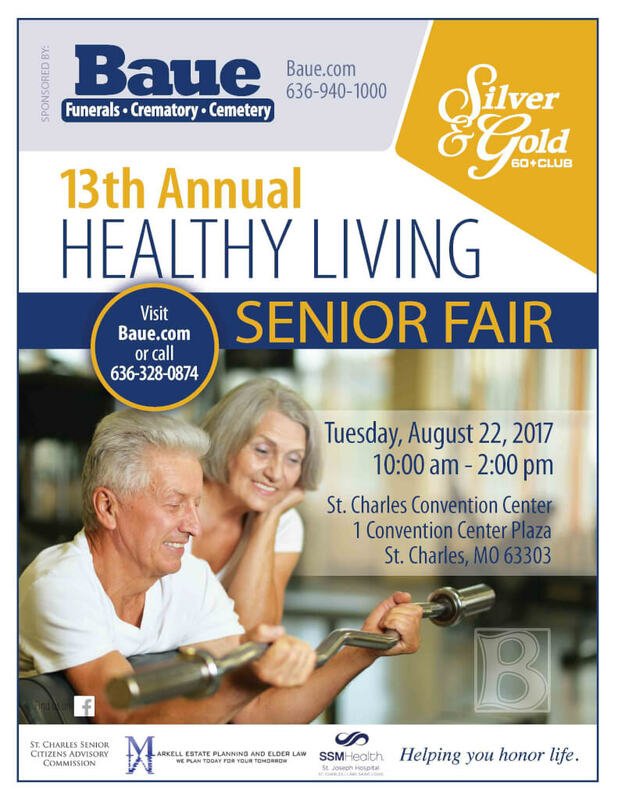 Doors will open on Tuesday, August 22nd at 10am at the St. Charles Convention Center for the 13th annual Healthy Living Senior Fair! Baue and their senior club, The Silver & Gold 60+ Club host the fair with help from sponsors Markell Estate Planning and Elder Law, SSM Health St. Joseph Hospital, and The Senior Citizens Advisory Commission of St. Charles. The fair is open to the public and free to attend with free parking, free entry, free health screenings, raffles, giveaways, live entertainment, and more! No pre-registration is required and the first 1,000 seniors will receive a complimentary tote bag. The main stage will include exercise classes, panel discussions, entertainment and dancing from the YMCA Silver Sneakers, an SSM Doctor, St. Louis Strutters, and the St. Louis Metro Square Dancers! This year, we will also have a BINGO room sponsored by the Villages of St. Peters – Memory Care! More than 100 vendors including Collette Vacations, The Hearing Consultants, Home Instead Senior Care, ADIO Family Chiropractic, Seniors Helping Seniors, Crown Vision Center, Damsel in Defense, and many more will be at the fair with information, giveaways, and raffles!